Michael George has served as the Minister to Students at FBC Searcy since May of 2016. His first experience in ministry came at an early age, as his father served as a pastor to a small handful of churches dotting the southeast. It was through these experiences that Michael developed a love for the Lord and His Church— and most acutely, a love for students and student ministry. His approach to student ministry aims to continually point others to Christ, believing full well that “...at just the right time we will reap a harvest of blessing if we don’t give up” (Galatians 6:9b). He has a passion for our youth to know that whatever they may do, our love for them through Christ is unconditional and unending. 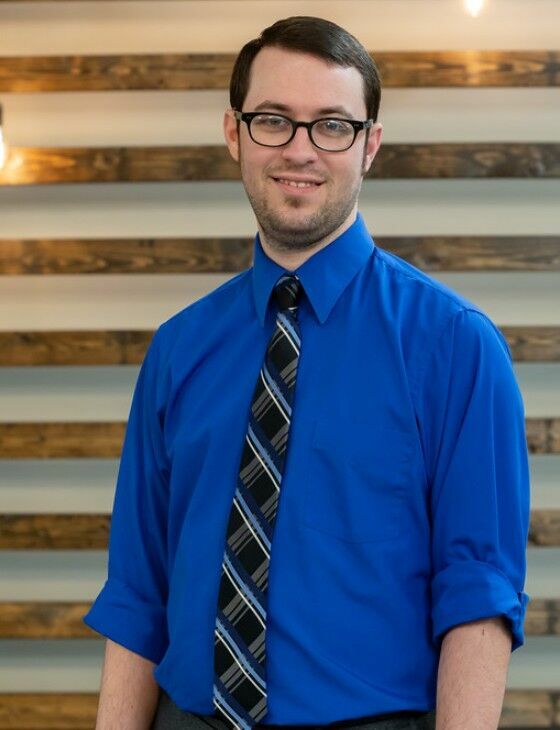 Michael has a Bachelor of Arts in Youth Ministry from Howard Payne University in Brownwood, Texas. He was licensed to the Gospel Ministry by First Baptist Church of Brownwood in 2012 and ordained in 2018 by FBC Searcy. Michael has been serving in full time ministry since 2012. Michael and his wife Christina met while on mission with World Changers in June of 2009. They connected again at a later point and were married in July of 2012. They have a son, Grayson Isaiah (3), and are grateful and excited to be able to minister together to students and their families. In his free time, Michael enjoys being with family, watching Star Wars and Marvel movies and playing basketball, disc golf, and guitar/drums. And like most youth guys, he enjoys Mountain Dew and pizza, too.